Muscle Shoals: pretty words that evoke righteous sounds in the mind’s ear, perhaps Aretha Franklin’s “Respect” or the sinewy country rock of “Wild Horses” by the Rolling Stones. 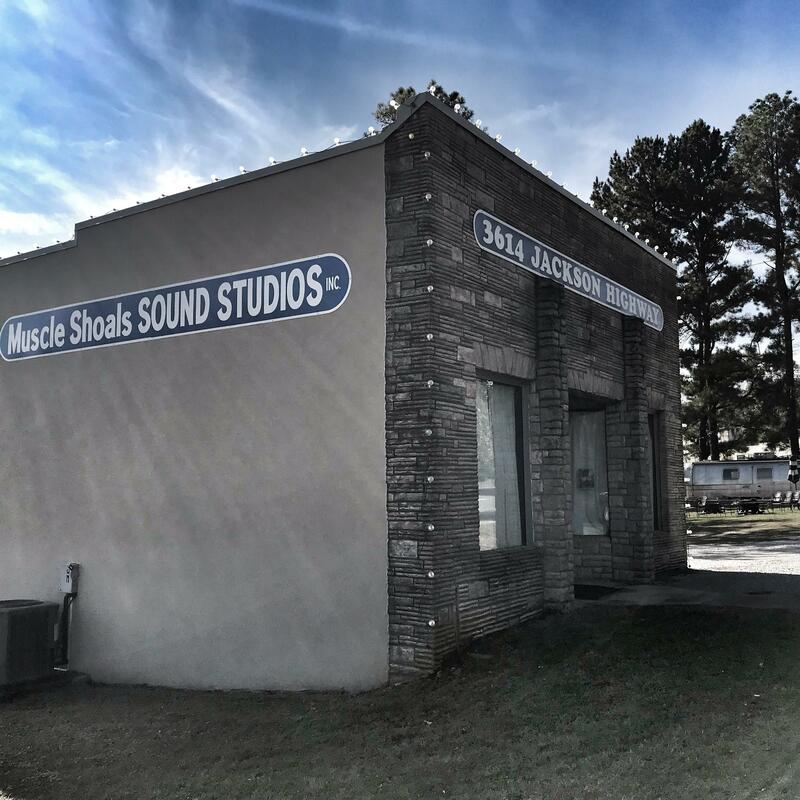 Muscle Shoals is a place that’s been celebrated on compilations (including the very new Small Town Big Sound tribute) and elucidated in an excellent documentary. But because it’s out of the way and lacks landmarks like Sun Records or the Ryman Auditorium, it’s hard to picture, an obscured geography. How and why this humble collection of four towns hugging the Tennessee River in N. Alabama became a musical hot spot is an improbable, wonderful American story. But I grew interested in Muscle Shoals of today. More and more, roots and rock and roll musicians have been traveling there to record. 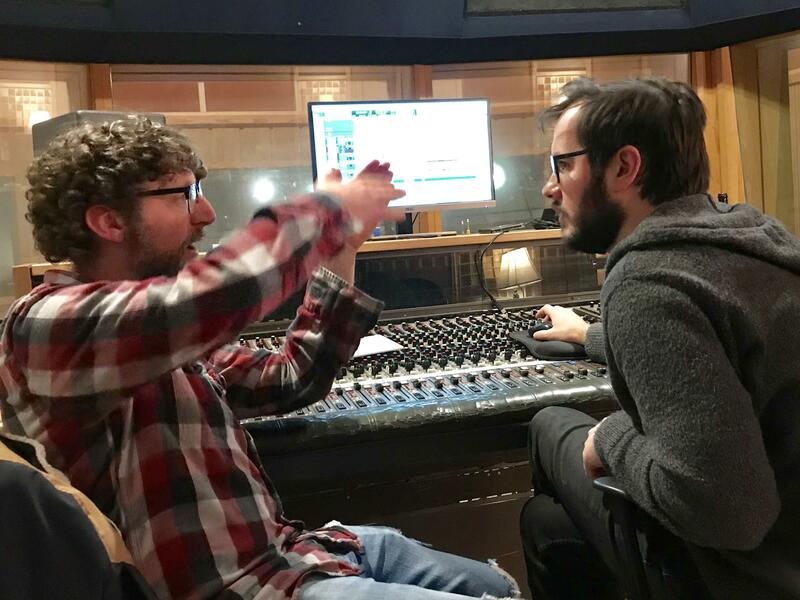 A string of remarkable bands and songwriters, including Jason Isbell, John Paul White, St. Paul and the Broken Bones, Dylan LeBlanc and The Secret Sisters, has emerged from the area in recent years. A half dozen studios are in demand and busy. It’s became clear that Muscle Shoals is no museum. It’s a scene. So the only thing to do was to go there and listen. 3614 Jackson Highway - A first-time visitor should get grounded in the history, so I started at the free standing studio where the rhythm section known as The Swampers set up shop from 1969 to 1978. Barry Beckett (keyboards), Roger Hawkins (drums), Jimmy Johnson (guitar) and David Hood (bass) had established themselves working for Rick Hall’s FAME Studios. They split off to control their own destiny, leasing space in a former coffin showroom. They treated it for sound with yards and yards of burlap and set about making records. I met Colin Lott, recording industry senior at University of North Alabama and tour guide who said the place doesn’t just represent the past. It’s open to the public by day and in use as a studio after hours. Judy Hood, David’s wife, helped spearhead the effort to save the studio and works with the four city region to improve the conditions for further growth of the music industry. Albert Rothstein (L) works with keyboardist Ben Tanner on an overdub session at Portside Sound. Portside Sound at Cypress Moon Studios - The Swampers wanted to expand at Jackson Highway but the property owner wouldn’t sell. So they moved, building two studios from scratch in a Naval Reserve station on the Tennessee River two miles away. This served as Muscle Shoals Sound Studios for decades longer. The building changed hands and is now owned by Tonya Holly. Her tenants include Portside Sound, a collective of engineers including Albert Rothstein, who moved to town from Philadelphia after some friends in his band had come ahead and told him the scene was dynamic. Kevin Robinson at Portside Sound. Recording on the day I visited was Kevin Leigh Robinson. The task at hand was a keyboard overdub being played by Ben Tanner, who pops up later in the story. Robinson partly grew up in Muscle Shoals, launching a successful rock/pop career there in the 90s. Now he’s moved back and jazzed about how the area is changing. Studio B was one of the first places he ever made music on tape. Jimmy Nutt at his studio, The Nutt House. The Nutt House - I visited with recording engineer and producer Jimmy Nutt at his studio The Nutt House, built into a bulwark of a 1950s bank in downtown Sheffield. The vault with a man-sized round door two feet thick is a highlight of the tracking room. 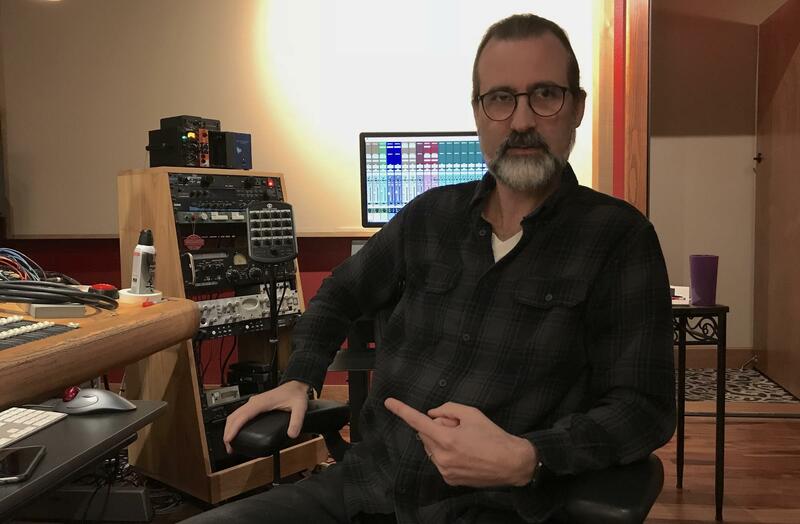 Before setting up shop himself, Nutt was the house staff engineer at FAME Studios, where he worked with a young Jason Isbell among others. Reed Watson (L) and Ben Tanner, partners in and musicians on Single Lock Records. 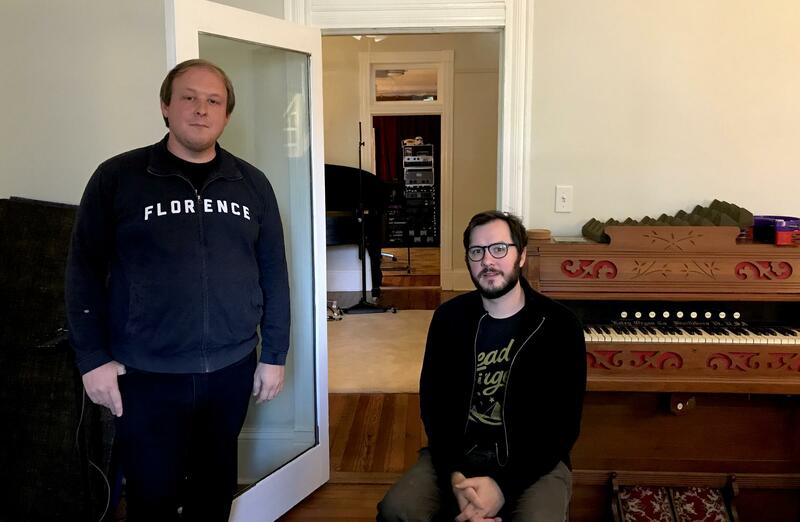 Single Lock Records - My last stop was a house in a historic district of downtown Florence where I was welcomed by label partners Ben Tanner and Reed Watson. There was a grand piano in the front hall, a room with drums to the right, and past that, a room lined with vintage keyboards and amplifiers. This studio was assembled about a year ago. Its maiden voyage produced the gorgeous album Plays Well With Others, on which Lera Lynn wrote and recorded duets with friends and colleagues, some of them Single Lock people, like label co-owner and founder John Paul White. Ben said the label got going as a sort of collective that reflected the inter-woven network of music makers in Muscle Shoals. Reed arrived in town about eight years ago from Tuscaloosa. He’s a drummer and the label’s general manager. He says the company started as a “hyper-local project” but over the course of more than 20 releases in five years, they’ve figured out how to scale up and have widespread impact. If you’re interested in Southern music and the particular passion that comes from risk takers in the independent sector of the business, you’ll enjoy this hour of radio.